Embrace your inner child and bring a little circus to your next event! We offer a variety of entertainment options, with something exciting for all ages! Hula Hoops were so much fun!! We just had Hannah and her friend for a recent event. They were a huge hit!! I agree with the previous review, that they were prompt, courteous and professional. They kids had a blast! I would definitely hire them for another event! Hannah was "strolling" entertainment at our Post Prom. She was prompt, courteous and professional. The kids had never seen anything like it! Everyone enjoyed her performance. Hannah is a fire and flow arts performer and hula hoop dance instructor from the suburbs of Philadelphia. Hannah's has been practicing fire and flow arts since 2012. 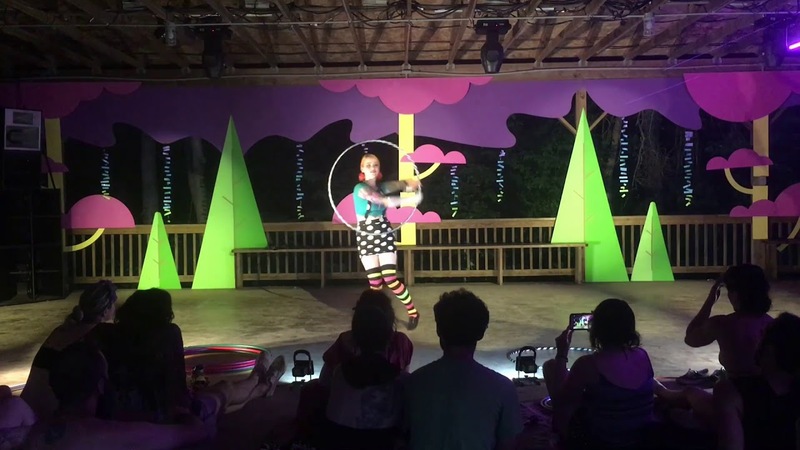 She started spinning staff, but picked up hooping shortly after and that has been her prop of choice ever since. As the owner of Harmonia Hoop Dance, Hannah aims to provide top quality entertainment and fun interactive hoop dance classes throughout the Greater Philadelphia Area.